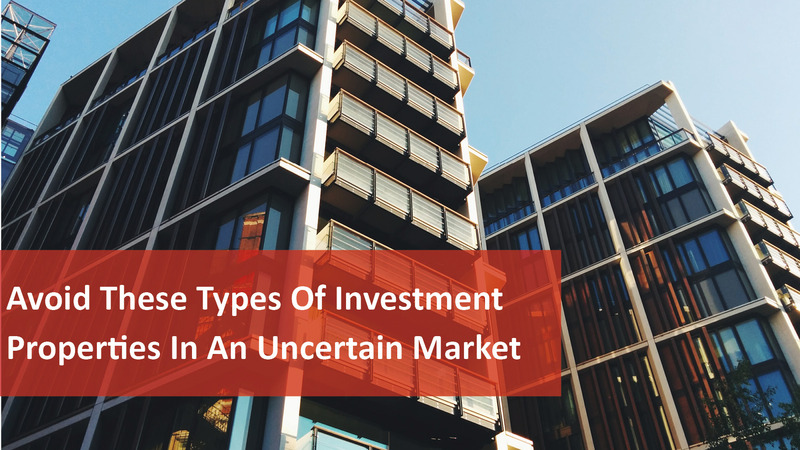 With an uncertain environment for investors, there are two property sub-markets that are particularly vulnerable in fluctuating environments. Let’s have a look at these ‘worst markets’ and why they pose a risk to investors. While buying off-the-plan isn’t inherently bad in every circumstance, the risks are often much higher, for several reasons. Firstly, when you buy off-the-plan, you’re locking in a purchase price at what is meant to be the current market value of a dwelling that won’t be completed for several months, or even a year or two. Of course, you hope the property will increase in value during the construction phase and by the time it’s completed you have a little nest egg of equity already in place. However, that’s not what has been happening over the last few years and, disappointingly for the buyers, on completion most off the plan properties are valued at considerably less than the contract price. The fact that off-the-plan properties mainly appeal to investors rather than the deeper owner occupier market, means that’s it’s a property sector to clear of at present. For similar reasons, investors should tread carefully around house and land packages. They share the same vulnerable characteristics as off-the-plan apartments, in that values can fall during construction, leaving buyers with a gap to pay on completion. In addition, while you’re getting a shiny new investment with great depreciation benefits, you’re also paying a premium price and don’t have the potential for value-adding to your investment. That means you’re relying solely on market movement to gain capital and earn equity which is unlikely because the demographic who buy in these locations are usually interest rate sensitive. And while they tend to be hard workers, young family’s wages tend to rise by CPI at best, meaning there is little momentum to push house prices higher. How should you approach these markets? In essence there are safer options available; ones that aren’t so vulnerable to changes in market conditions. It’s better to buy established apartments, townhouses or houses in the inner and middle ring suburbs of our capital cities where there is a strong demand from affluent owner-occupiers who can afford to and are willing to, pay for them. These properties tend to have the essential pillars of growth: near great infrastructure and transport, proximity to large job centres, the ability to purchase at fair market value (rather than at a premium) and the option to “manufacture” growth through improvements. Without a flood of similar properties on the market, as is common with new developments, competition amongst buyers and renters will drive prices and rentals. This is a foundational growth factor that can be absent in off-the-plan markets.